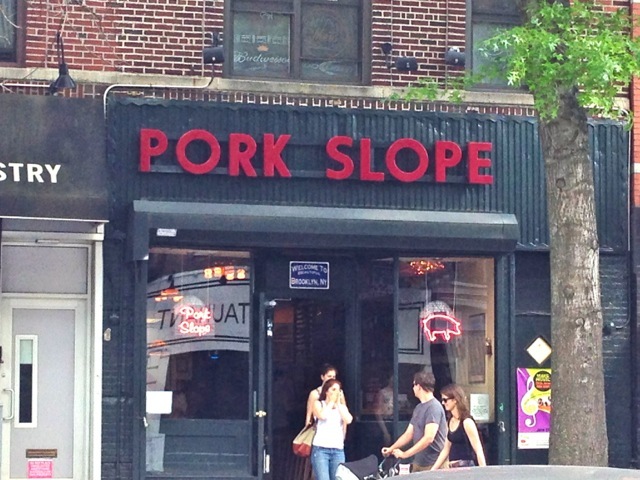 I entered Pork Slope carrying lots of assumptions. This place is owned by celebrity chef Dale Talde, in the middle of Park Slope, and gets a huge amount of press, which means it will probably be pretentious, filled with skinny jeans and offer measly portions. Luckily I was dead wrong on all accounts, and exited extremely satisfied. On my Saturday afternoon visit, Pork Slope was a quiet dive bar, with almost as many babies and little kids as adults hanging out. With non-ironic classic rock on the speakers and a pool table, it is a very chill setting. 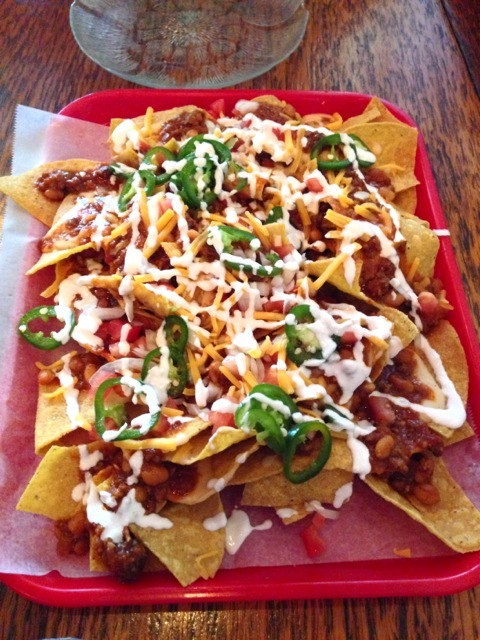 The nachos are pure genius. It’s obvious that each ingredient is carefully planned out and is more than the sum of its parts. The chips are delicate and not at all greasy, the chili and the cheese are top quality, and the jalapeños are obviously pickled in house. But the real genius is that these nachos are evenly spread on a huge tray so the chips and toppings are evenly dispersed and not soggy. This is important, because if you are two people eating this huge tray, it takes awhile. Go for the large for $14, it serves 2 if you are not eating anything else, or 4 if you are wearing skinny jeans. 48 Hour Cheap Eats Bender!